100 feet of Lakefront Torch! Ready for Summer 2019! 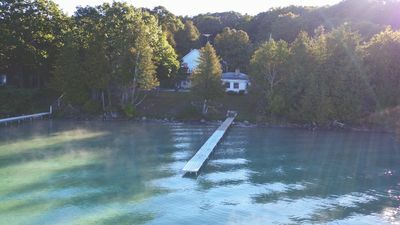 You will love Sunset Sanctuary, located on 100 feet of private frontage on beautiful Torch Lake. Enjoy the sunset views grilling in front of the fire pit. Bring your boat or rent one from the local marina and tie it to the buoy in front of the cottage. This is not a party house. We strictly enforce guest limits and quiet hours. 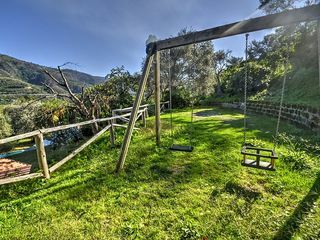 Please find another property if your ideal trip is not one of quiet and relaxation. 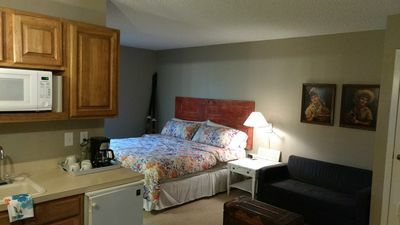 This two bedroom, one bath cottage sleeps 6. 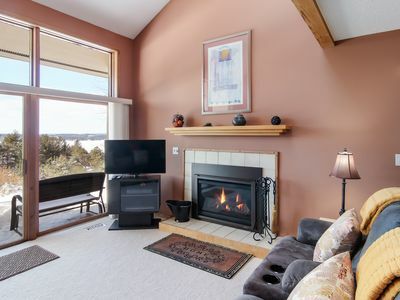 The sunroom and living room look directly out at the lake. One bedroom contains a queen-sized bed and the other a bunk bed with a twin on top and a double on the bottom. A twin sized floor mattress can also be provided. Sheets and towels are included, but bring your own beach towel. Plentiful games, books, DVDs, and a smart TV provide evening entertainment. 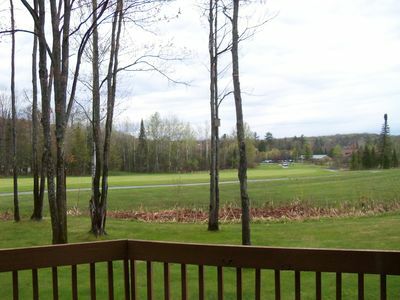 Outdoors, enjoy the stunning lake from the grassy lawn or on the private dock. The crystal clear water will entice you to it. The front yard steeply drops to the water, with stairs descending the last few feet to the dock. Our shoreline is mostly rocky. An outdoor table and BBQ encourage you to stay outside. Launch your kayak from the shore. 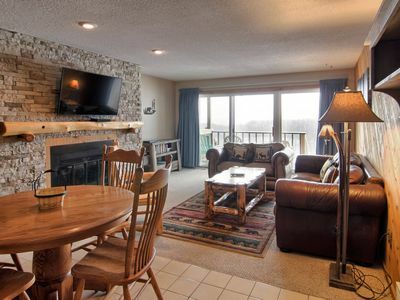 Experience hiking, wildlife viewing, and mountain biking through Glacial Hills Park or nearby national forests. 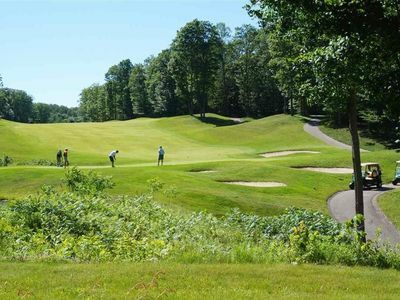 Golf at one of the seven courses located in Bellaire, including The Legend designed by Arnold Palmer. 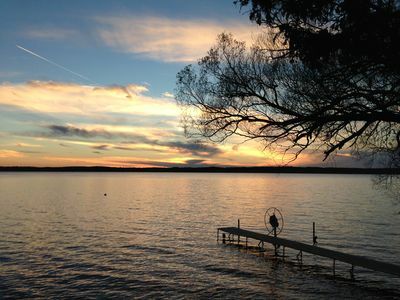 Explore the 18,000 acres of Torch Lake or travel the 75-mile long waterway that is the Elk River Chain of Lakes. Enjoy nearby Shorts Brewery or Torch Lake Cellars in Bellaire, Dockside- a well-known boat-up burger joint, and other nearby restaurants. 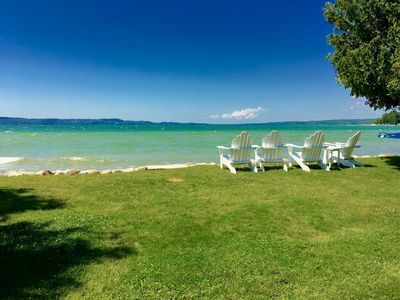 Travel to nearby Bellaire, Elk Rapids and Traverse City to experience the unique breweries, wineries, restaurants and festivals as well as spectacular views of Northern Michigan! 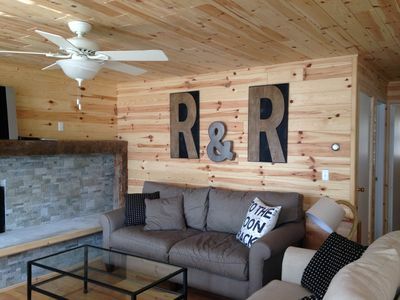 This cottage rental will create vacation memories you will never forget! Boats are welcome and we have enough room to park your trailer. Boats can't be attached to the dock for any length of time, as winds can pull the dock right out of the ground and set it and your boat afloat. We offer a mooring buoy for your convenience (1500 lbs of concrete anchor. You are responsible for assessing if this is enough to hold your boat) and that the equipment is in good shape. 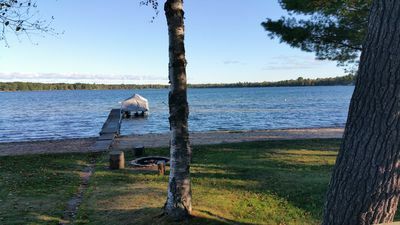 The dock, lifts, and buoy are available from June-September. Outside of these months, please ask me if it will be available for your stay. 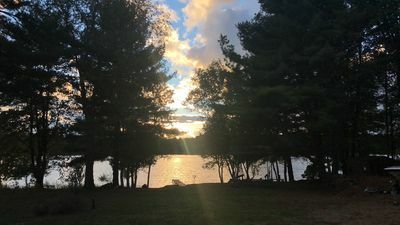 The nearest public boat launches are the Clam Lake Access (6 minute drive from the cottage- access is onto Clam Lake, and it's a short ride down onto Torch) and the Alden Township Access (10 minute drive from the cottage). 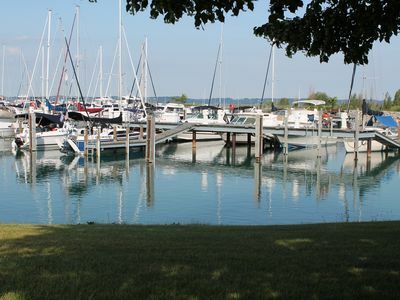 Butch's and Dewitt Marinas are both private marinas that offer launch for a small fee (3 minute drive from the cottage). 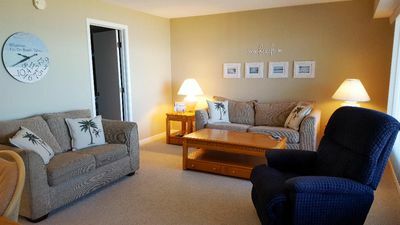 Guests should bring their own beach towels, as cottage towels are not to be removed from the house. Please bring your own bathroom amenities. Firewood for the fire pit and charcoal for the BBQ are not provided. The cottage is all yours for the duration of your stay (with the exception of one closet). 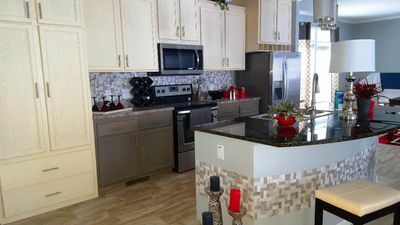 The outside spaces and amenities, such as dock, patio, and BBQ, are shared with a small guest house on site (up to 4 guests or the owners). My husband and I spend many weekends in the guest house, so we look forward to meeting you. The garage is unavailable for guest use. 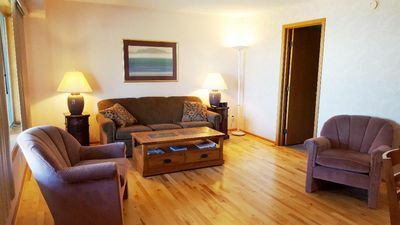 Quiet, 1st Floor Villa Monte Condo at Schuss Mtn. 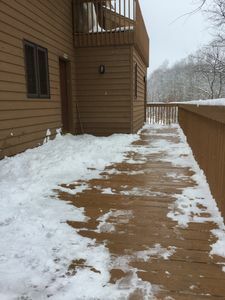 Steps to Golf & Ski! 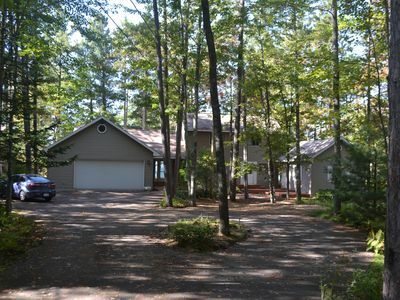 Amazing water front home on Grand Traverse Bay overlooking mission point...WOW! 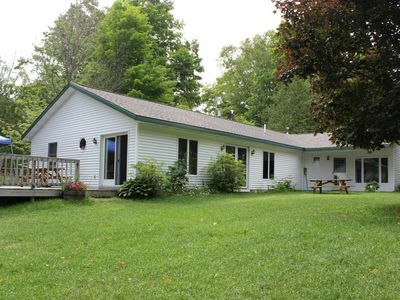 Village Living in Elk Rapids! 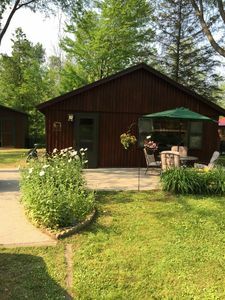 Newly Remodeled Lake Bellaire Cottage now booking FALL through SUMMER of 2019!! 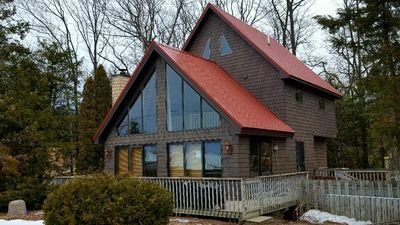 Torch Lake Lake Front Cottage and Guest House ~ Exceptional Lake Vacation!